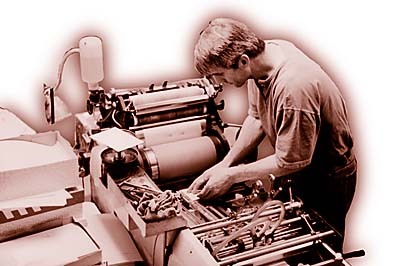 In this section you'll find information regarding the people, culture, and physical plant of Kolossos Printing. If you want to know where we're located, our hours of business, or simply what makes us tick, just follow the provided links for more information. It's important to Kolossos that our clients know whom they're doing business with. Once you take the time to find out what we're all about, we're confident you'll like what you see.